Am I an Effective Leader? These are just just some of the questions that have been swirling around in my head. I want to be able to answer these questions to enable me to understand what I need to do to be a leader. I have the title “Domain Technology Leader” at my school, yet I don’t feel like an effective leader. This is an ongoing conversation in my head as well as with other teachers and one that I still have yet to make sense of. So what makes a good leader in my opinion? A leader is a person who is confident in speaking in front of others- when I stand in front of my domain teachers, my mouth refuses to open or I constantly stumble over my words. I can’t get my message across. I find it difficult to talk to a group of my peers because sometimes I’m afraid of how they will react. A leader can initiate change: To me a leader is someone who identifies changes that can be made and finds a way to implement them, not just in their classroom but at a school level. This is a skill I struggle with especially when it relates to whole-school implementation. I’m comfortable with trying new ideas in my class but when it comes to sharing the benefits and the results it’s not easy to do. Knowing that many staff are not receptive of new ideas, makes me hesitant in sharing to all. I try to share my ideas with staff I talk to on a regular basis, with the idea that if I start small, it might make a difference. A leader models change: With the increased use of technology in Education, new teaching practices that teach key 21st century skills to students, leaders are those who are open-minded. They are willing to try new ideas and experiment with them to improve student engagement and ownership in their learning. A leader is open to change: Schools establish and maintain their visions and values so that students, staff and the wider community are aware of the expectations. Bringing in change can often be met with resistance from members of the school community. A leader is aware of the status quo, yet is open to accepting changes in teaching pedagogies. A leader may not initiate the change, but they listen to others opinions and support teaching and learning initiatives. With the aim of ensuring that students’ different learning abilities shape the teaching, they understand the use of technology within the classroom. One of the reasons I chose to become a Domain technology leader was to understand how technology can support the learning in my classroom as well as in the school. It allows teachers to extend the students’ capabilities and to equip them with skills they need as they move into the workforce. A good leader is approachable and supportive: One of the qualities I admire in my immediate leaders is their ability to support the staff. Whenever I go to them for advice, they first listen and then they actively work with me to help me resolve an issue or come up with a solution. They don’t resolve the issue themselves, they help me develop the skills I need to implement the solution. This is something I need to develop myself as a leader. A good leader knows their staff and their abilities: One of the skills I am interested in developing is the ability to recognise what the staff need to know when implementing new teaching practices. During my first years, I just went about my daily duties without quite understanding what I was doing. Having had that experience, I want to ensure that other staff understand the reasoning behind why new pedagogies like “PBL” are being implemented. I want to run PD that helps them gain an understanding of not just what is new but also the reasons why they can be effective. This post is written as part of the #blogsync challenge for Connected Educator month. It has also been shaped by conversations with other staff as well as some Year 9 students. I was interested in these conversations as they helped me understand how I can be a better leader. To me diversity means understanding that everyone is unique and is an individual. It can refer to race, ethnicity, gender, religious beliefs, physical abilities – anything that defines us as an individual and creates our identity. Each individual is allowed to determine the categories that shape them as a person and they should be accepted for that. No one should be excluded because they are different. Before starting my teaching course, I volunteered to teach migrant women English at the local church. The program was run by a teacher from Chisholm TAFE with the purpose of empowering migrant mothers – helping them learn the language so that they would be confident in going to the shops and supermarket. The classes were run by volunteers of different ages and they made me realise that I wanted to be an EAL teacher (English as an Additional Language or ESL as it used to be known). I was lucky that English was my first language when I migrated to Australia and I didn’t have the difficulties in adapting to life here, as I spoke the language. So when I enrolled in my Graduate Diploma of Education, I chose EAL as one of my methods. I love teaching at my school because it is so multicultural. There are 77 nationalities represented with students speaking over 83 different languages. Even the staff at the school come from different cultures. Being a migrant in Australia, this makes it easier for me to relate to my students and for them to find someone who connects with them. On first meeting new students, the most important conversation is determining where everyone is from. Students will ask teachers where they are from in order to create those initial connections. I happily tell my students my background because they are eager to learn more about you. At least half the students I teach have come through my country in order to reach Australia. When we talk about our culture and past, this helps them feel more comfortable and makes them realise that I do have an understanding of their culture and upbringing. Since most of the students at my school come from a non-English speaking background, our school has several programs that provide support to these students. At least 1 member of each teaching team is an EAL trained teacher. We also have a Transition program for students who have been in the country for less than 2 years in addition to the EAL program. The Transition program provides a more focused language support to these students who may not have had access to schools in their own countries. As an EAL teacher, I always ensure that my lessons provide support and scaffolding for students who are still learning to speak English. If a student in unable to understand a particular word or concept, I often ask another student who speaks the same language to help me with explaining the idea. Our wonderful Multicultural teacher aides often support us with these students and work with teachers to ensure that EAL students don’t miss out on the curriculum. Since our student body is so diverse, students learn to accept each other no matter which ethnic background they belong to. They work with each other in class, in team sports and other extracurricular activities. Whilst problems do arise, staff always remind students that judging others based on their ethnic background is not acceptable. At our school, the last week of Term 3 is International Week. This is where students from different nationalities come together to celebrate their culture through dance. Throughout Term 3 they form small groups and decide on their dances. This culminates in International Day which is the last day of term. Students perform traditional dances to the entire school. Watching the students dressed up in traditional costumes and the way they interact with each other is amazing. Whilst they have adopted Australia as their new home, their ties to their traditional backgrounds are very strong and this is evident in the pride they take when performing traditional dances. It’s pretty embarrassing to admit this but for the entirety of my teaching career, I have been using the phrase “Web 2.0” without really understanding what it means and how it differed from the Web that was originally created. I remember missing out on a P.D in my 1st year of teaching that was on “Web 2.0” but I didn’t realise the vital information I missed out on. So what is “Web 2.0” stand for? Well I thought it was just the improved version of the internet since it was created. However whilst watching the video from the “Connected Educators’ Started Kit”, I realised that Web 2.0 is more than just an “improved version”. It is a place where we can read information as well as create our own. The original Web 1.0 was only for reading and consuming. It was a one-way street where information was delivered to the consumer. On the other hand, with Web 2.0, the user can also be the creator as they have the ability to create their own information and/or resources. The consumer can also be the producer- there is a two-way exchange. With the constant use of Web 2.0 tools, as an educator I can see how useful it is in today’s world. I don’t have to be there to answer every single question posed by students. Students can search the information for themselves. They can create their own content and add information to the web. Web 2.0 allows them to connect with people they have never met and this is true for me as well. Through Web 2.0, I have connected with educators not just in Melbourne but also around the world. Copyright- Am I using materials within the limits of copyright? Can I re-use the material in my classroom? Authorship- Have I acknowledged the author of work that I am using? Do I have permission to use someone else’s work? Have I checked the work for a Creative Commons’ License? Privacy/Identity- Am I protecting my students’ privacy on websites? Am I teaching my students to protect their online identity and to be careful about their privacy? Ethics- Is information being used correctly? Have I taught my students’ to respect content created by others and to acknowledge their sources? Governance- Who checks that students are safe online- their teachers, parents, school? Who monitors students’ safety? I have just reached my 5 year teaching milestone. I had read about the teaching burnout at the 5 year mark and I didn’t want it to happen to me. I love teaching and can’t imagine doing anything else. Yet I wasn’t satisfied. I was in my 1st leadership position and kept feeling like I didn’t know enough. I kept struggling to engage my students and felt like many were playing up just because I didn’t give them enough support. 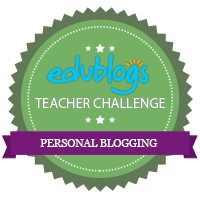 During the Edmodo course, I gathered my courage and joined Twitter and started my blog. My journey as a Connected Educator had started. So what it means to be a ‘connected educator’ ? An educator who collaborates with other teachers to share and improve teaching practices, unrestricted by school, regional, national and international boundary lines. One who learns in a variety of ways: online (blogs, Twitter, Edmodo, Webinars, MOOCs, educational journals, Google Hangouts & more) and face-2-face (conferences, TeachMeets, seminars, Edcamps, university courses, informal meetings & more). Since the Edmodo course and joining Twitter, I have realised that I need to be a lifelong learner. I thought that I had stopped learning when I graduated from University. However being connected has taught me that the learning doesn’t stop when you leave the classroom and this is something that I need to model for my students. I have learnt about the importance of student voice– that it is okay for students to say they don’t like the lesson. Instead of brushing it off, I’ve learnt to talk to them about how they want to learn. I ask for their opinions and feedback and then implement it. They can see me trying to change the way our classes run and are helping me to create a culture where they are happy to learn. Blogging helps me reflect on my teaching practices and allows me to articulate the problems I’m facing. It also allows me to write about what I have learnt in the last 4 months through Twitter chats and educational websites. It gives me a place to have my own voice and to express my opinions. Generally in a face to face situation, it takes me a while to share my thoughts. Blogging is the perfect avenue for an introvert like me. My aim as a Domain Technology Leader is to share my own learning with staff at my school. Learning about PBL through Twitter, BIE and Edutopia as led to me joining the PBL team at school. My aim is to help other teachers with implementing PBL in their classrooms. I am also ready to attend conferences, TeachMeets and EdCamps where I can meet the people I’ve connected with online. Getting connected has made me excited to continue teaching. I haven’t learnt everything I want to and I certainly haven’t made the changes in my classroom that I want to make. It has also made me realise what kind of teacher I want to be – one who helps students realise that it is fun to learn and that the learning doesn’t stop when they leave the classroom. The 5 year burnout is something I don’t have to worry about because I love what I’m doing and I’m excited to be where I am! I started my journey as a “Connected Educator” in May even though I didn’t realise it. This was when I started the “21st Century Learning with Web 2.0 Tools and Edmodo” course with Kimberly Carpenter on Edmodo. I became aware that there was a need for me to connect with teachers not just at my school but also nationally and globally. This would help me expand my own learning as well as my teaching practice. Over the past few months I have been participating in Twitter chats, listening to conversations on Voxer as well as blogging my own learning. I’ve decided that I will complete the activities in the Connected Educator’s “Starter Kit” as a way of getting a better understanding of what it means to be a connected Educator. One aspect that has already caught my attention is the 2014 theme of the Connected Educator Month “Student Agency, Voice and the Maker Movement”. Whilst I have heard about the Maker Movement and want to learn more about it, at this stage it is not a priority for me. My main focus for this month and the rest of Term 4 is “Student Voice”. It changed the way I taught my Year 8 students in Term 3 and I am keen to continue learning more about it. I am hoping that during the Connected Educator Month, I will be able to engage in more conversations about “Student Voice” so that I continue using it in my classroom to shape the learning of my students. This will allow me to focus on one of CEM’s goals -“Deepening and sustaining learning among those already enjoying connection’s benefits”. Term 3 has come to an end and here is my review. I created my own Powtoon and uploaded it onto Youtube. It was an challenge creating the Powtoon video. By publishing it to Youtube, I even created my own Youtube challenge. Hopefully I’ll be creating a few more videos to put on it. In the last week and half, one of my most disengaged students has started asking me to change our learning spaces. We had been discussing another topic and he suddenly brought this question up. So in an attempt to get him more involved in our learning, I started questioning him about his idea. At first he wasn’t sure about how to articulate it but a few days later in my PBL feedback sheet, he wrote down his ideas. He said that not everyone learnt the same way: some wanted a quiet space, others to work with their friends and that this could change depending on what unit we were learning. So the next day when we had English, he suggested we go outside the classroom to the green area (or piazza as it is referred to by teachers) as it was a beautiful sunny day. This space is in between all the buildings, has fake grass and a few benches. It is like a mini outdoor theatre with steps on one side. So without hesitation I decided to listen to him and took my group of students outside. They quickly arranged themselves in the area, with the boys lying on the fake grass and the girls on benches. We were working on an essay for “Holes” and in my mind it really wasn’t the ideal place to teach them to write an essay. However to my surprise, they worked well in that space (once papers had stopped flying). The boys who are my reluctant writers, stayed in one area without moving around and worked solidly for the next 50 minutes. I moved from group to group and they stayed on task. Since that day, they have been more eager to work and have realised that I am willing to listen to their ideas. When the weather improves I know I will be taking them out again. In previous years I would have immediately vetoed the idea, but now I know that listening to my students’ voices, I can get them more involved in their learning. Student voice is important in the classroom these days. Teachers are aware that it is vital that students have a say in the way they learn. Gone are the days when the teachers dictated how learning would happen in the classroom. As a teacher I see the value in getting students’ opinion because it helps to understand how they learn. They need to be able to share their thoughts and ideas of what learning looks like to them and how they would like to like to learn at school. Bill Palmer’s article on Edutopia states by giving students a voice, it increases their “achievement and engagement”. Students who take responsibility and ownership in their own learning, have a more vested interest in what they are doing. The conversations with the teachers benefit both of them as there is a shared understanding of what learning should look like. By giving students a voice it helps teachers to personalise the learning for each student. In our house (my school is divided into 7 houses), the Assistant House Leader has been actively working with our students to find out who they are as learners. It took me a while to realise that I also needed to learn how my students learn. When my AHL carried out the “Who Am I as a Learner” activities, I paid close attention and went over the data she collated. It was interesting to see the information as a teacher. Whilst I talked to my students on a regular basis, I didn’t really understand how they learned and what they wanted to see happen in the classroom. As a student myself, I had no voice as I was in a traditional classroom and that was they way we were taught. If my teachers knew how I learnt, maybe I wouldn’t have struggled so much at school. I can change the way I teach by listening to my students’ and shaping my practice to incorporate their suggestions. All around our house, our students’ understanding of themselves as learners is starting to be displayed. This allows us, their teachers, to know who they are and how they like to learn. This helps us in our planning and gives us the opportunity to create lessons that are engaging and influenced by student voices. You might think that this was a conversation I heard between students, but it was actually between a colleague and myself, during my last class of the day. I had been talking to 7 of my year 8 students when a teacher came in to speak to me. As soon as our backs were turned, the boys ran and hid from us. We laughed at it because we knew they were waiting to see our reaction. We decided to play along and managed to find all but one. It was all about forgetting that we were teachers and enjoying a moment of fun. The boys certainly appreciated it. After she left, the boys convinced me to play another round of hide and seek and told me that I could hide this time. I decided why not- how often do I get to act like a child at school and let the students see another side of me? The 2 other teachers in my team certainly had a few laughs, with the rest of the students, seeing me playing hide and seek with the 7 students. This was just an end to an interesting lesson that I had with my Year 8s. When I saw that my in-lieu was with them, I cheered up because in the last few months I’ve been getting to know this group of students and they all have their own unique personalities. Yet they work well together and their antics make me laugh. Our discussion was on “Honesty” after reading “The Boy Who Cried Wolf”. I gave 1 boy the task of leading the discussion and soon we were talking about why people lie to others. One of the interesting points that was raised was that students would cheat to get better marks in their tests to make the teachers’ think that they are smarter. This caught my attention and I quickly asked whether students’ would lie to make their friends think that they were smart but they refuted my point. They felt that it wasn’t necessary to lie to their friends because they knew they wouldn’t care but they wanted teachers to be impressed by their work and so they would lie. It was a point that I’ve never considered before. This conversation did take place and to remind myself I’m making a record of it. It took place on the 3rd of September 2014 between 2.30-3.10pm in Melbourne. I’m am writing this so as to remind myself that unexpected conversations can happen. Students have the constant ability to surprise us and show us their hidden understanding of their own learning capabilities. I will certainly be looking to extend the conversation further with these students over the next few weeks. One of the Project Based Units (PBL) that we do at Year 7 is Passport to Asia. It’s a 3-5 weeks long project where students get to explore a particular Asia country and learn about the culture. I’ve been doing the project for 3 years and this is my 4th year. Over the years, I’ve taken over 300 images to record the work and use for displays in the school. Each year, I show the current Year 7 students the displays of the previous year. This year I decided I would create a video instead of clicking through the photos. The challenge for me was to make it interesting, short (2-3 minutes) as well as highlighting the students’ experiences. To do that I had to use a video making software as well as find Creative Commons music to add to the video. I downloaded Windows Movie Maker. This is a free software that you can download. It’s easy to use and even my year 8 students have used it. This was the first time I used it. Keep the timing on the images within 2-3 secs depending on whether you have text on the image or not. The longer the timing is, the audience will start losing interest. If it is a presentation, break up the images with text to highlight your topic or show transition between points. After you have finished creating the video and are happy with it, save it as a movie (not a project). Choose the setting that you will play the video on (as shown below). I chose “For computer” as I play the movie on my laptop. When making the video, I searched for music that I could use. I have been making sure that any thing that I access on the internet, I reference them in my files in order to model the behaviour for my students. So I decided to look for music that I had permission to use. I looked for creative commons music and then came across Freeplay which provides a number of options when you download the music. Since I was using it for educational purposes, I could download it for free to use within the classroom in my video as well as within the school. I like that it gives a variety of licenses to choose from. It was an experience creating my own video to show to the students. I reduced the number of photos to match the time of the song. Using Movie Maker was easy once I started and I know I will definitely be creating more videos to showcase my students’ work. Voxer is a push-to-talk and messaging app on your phone. You can use it for free or pay for the premium features (e.g. saving messages, having a conversation with more than 5 people at once). You can choose to listen to the messages in your own time. Besides voice messages, you can also send written messages, share links and images with the group. Andrea Stringer a moderator for the Twitter chat “#satchatoc”, started a Voxer group for participants of the chat as a way of continuing the conversations after the weekly chat. The aim was to allow educators to expand on their ideas and thoughts and engage with each other on a different level. It also allowed for more than 140 characters (the limit for a tweet). I added my name to the list in order to continue my learning. I didn’t know what to expect but I wanted to give it a go. If I thought voicing my opinion in 140 characters on Twitter was hard, talking about them on Voxer is even more challenging. Since Andrea has a pro account, there are over 20 people in the group discussing their opinions. There is no set script for the group or set questions. The conversation flows easily between the members. The topic started with parental engagement and at the moment the group is examining the idea of school goals and individual goals. You have the opportunity to pick apart ideas or focus on key points that you are interested in. The group members are not just from Australia but around the world, so messages come it at different times of the day or night. Members listen to/leave messages to and from work, when children are asleep and generally when it suits them. What motivates someone to be a leader? What experience do you have to offer as a leader? Do teachers in their early years of teaching have the experience to be a leader? Is leadership a way of giving back to the school community? Who helps me develop my goals as a leader? What can we learn from leaders who are our mentors? Do I have a direction of where my career is going? What challenges can you face as a leader? Do you enter leadership without your own understanding of what a leader should be? What challenges can younger teachers face when applying for leadership roles? Knowing when to share my opinions- I’m so busy listening to others thoughts that by the time that I think of what to say in reply, they’ve already passed on to another topic.